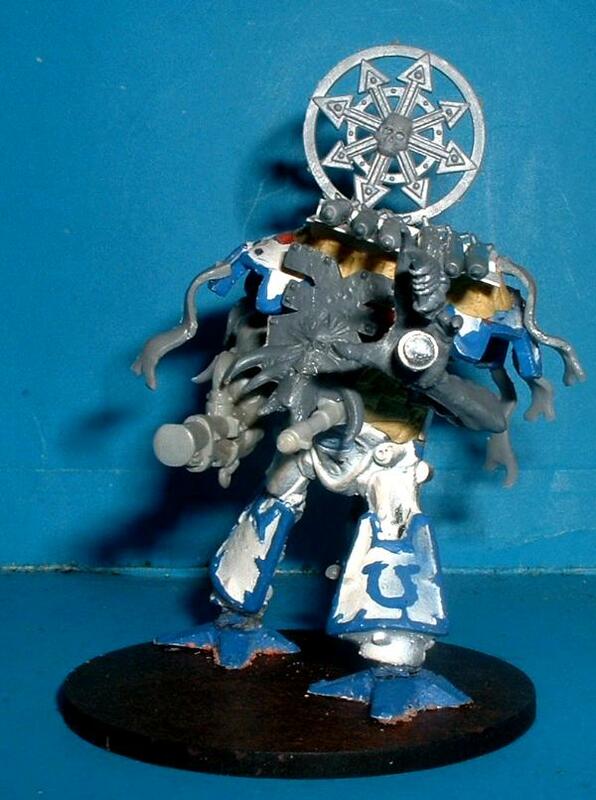 I've got plenty of Chaos Space Marines and old IG to use as cultists, I'm hoping to add some of the boxes of new infantry and Warmaster Daemons at some point soon but the next purchase is going to be some N gauge fening to add spiky bits to my tanks. Man, that Banelord is wicked!!! Last edited by MrGonzo on Sun Jan 20, 2013 6:22 pm, edited 1 time in total. Cheers Gonzo and they are needed to represent the Havoc missile rack the Banelord comes with in the Net Epic rules. Little shame imho as they might take away from that awesome head and banner. 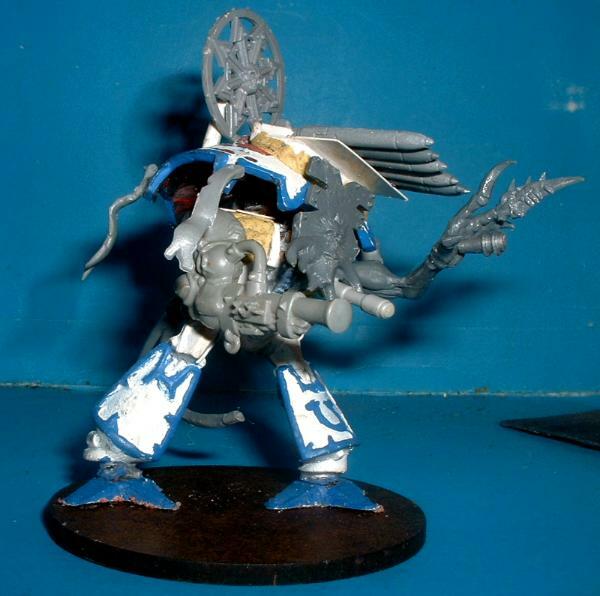 Also like the low-tech look of the Deathwheels and would be interested to see a side on shot of the LoB! Some nice stuff there Dave. Look forward to some games against them in the future. Mr Gonzo-Yep hopefully I'll be able to mitigate that with painting but I'll have to bear it in mind. Quick confession most of what I put up was finished in December last year this bunch of lads is my first true formation of this year. 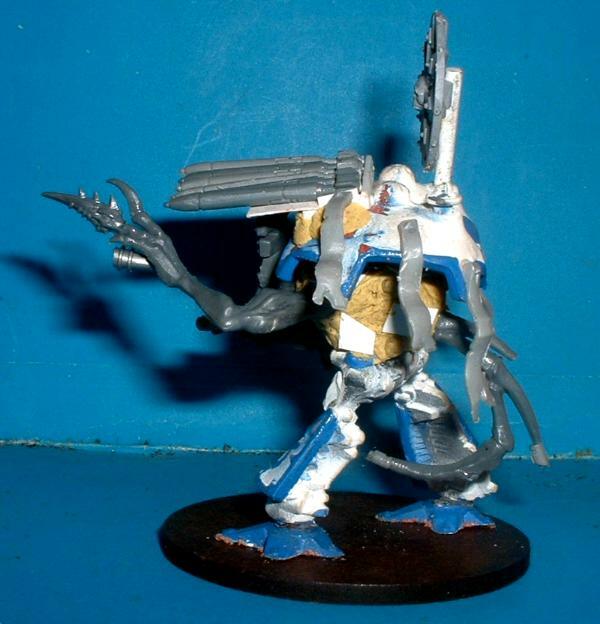 However the Rhinos look rather plain I'd like to get ome Dark Eldar spikes to help this. I did find another answer as well. OO gauge Model railway spear link fence I got enough for about forty tanks for £4.25. Sorry for the blurry shot. Yes that is an Epic scale Heldrake bodge. It's a Pterosaur (from the cheapo dinosaur set I got for Squiggoths) which donated it's wings and head to a weird robot dohickey. In all likelihood I won't get a Firelord and it'll be awhile before finances permit buying the Dystopian War models for counts as so I bodged this together it might look a lot better painted who knows! 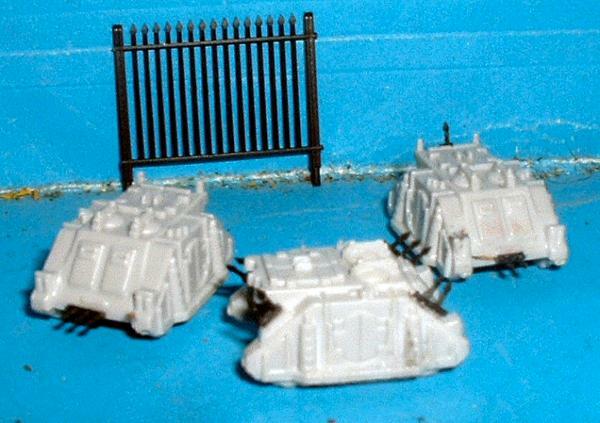 Very clever use of railway spear fence, looks much better than the original spiky Chaos vehicles. The Heldrake is very clever, too. 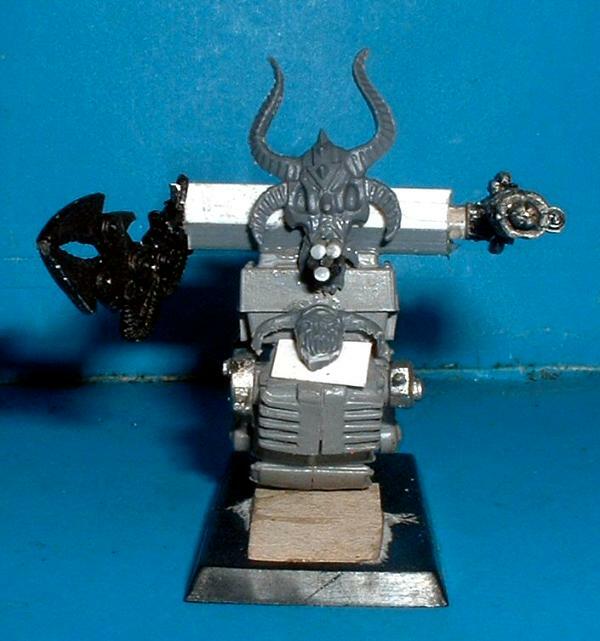 Before you paint it, I would just tighten some of the gaps with some sort of putty (green stuff) and/or plasticard plating, but as you say, it could easily be used as a Firelord, too. Good work! Wow, that's a lot of Orks there Dave! Didn't realise you had so many. Maybe we should up the points for our next games and get more of them on the battlefield? am I subscribed?> i should be- looking forward to see how the helldrake turns out. Yep sure any idea when that'll be? I'm not fussed about size of game much but I definitely want to get more in. 6K seems to be a nice round amount but any more than about 10k might be a struggle to get finished. I know Rykk's Nid's are just about done and hopefully we'll get a bit more variety. I'm wondering about suggesting a proper Epic event day like the big campaign day's in the near future.